One of the most popular means of modern communication is celebrating its 20th birthday today. The very first text message was sent from a PC to a mobile phone on December 3, 1992, by then 22-year-old Neil Papworth over the Vodafone network in the UK. This first text message, a precursor to the SMS that many of us now use on a daily basis, simply read “Merry Christmas.” As The Verge points out, the concept of the SMS was conceived a few years earlier but Papworth’s message was the first known text message to be sent to a handset. The first true SMS to be sent between two phones didn’t take place until a year later in December 1993 on a GSM network between two Nokia phones. Nokia was one of the first manufacturers to fully deploy text messaging on their phones. Other’s like Samsung quickly followed suit using a type of predictive text known as T9, which stans for Text on 9 keys. This technology ultimately led to a text messaging phenomenon that reached most parts of the world as early as the year 2000. 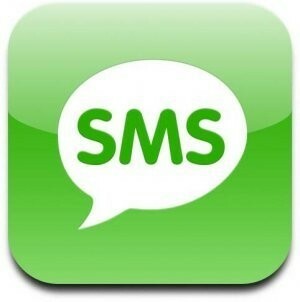 Data shows that around six trillion text messages were sent on a global scale in 2010. That number is expected to increase to around eight trillion by the time 2013 rolls around at the end of the month. It’s unclear if texting will continue to grow as alternative services like RIM’s BlackBerry Messenger, Apple’s iMessage and specialty apps continue to reinvent the way people send and receive written communication over their phones.